Chop all the veggies into large pieces. In another cutting board chop the chicken into cubes. 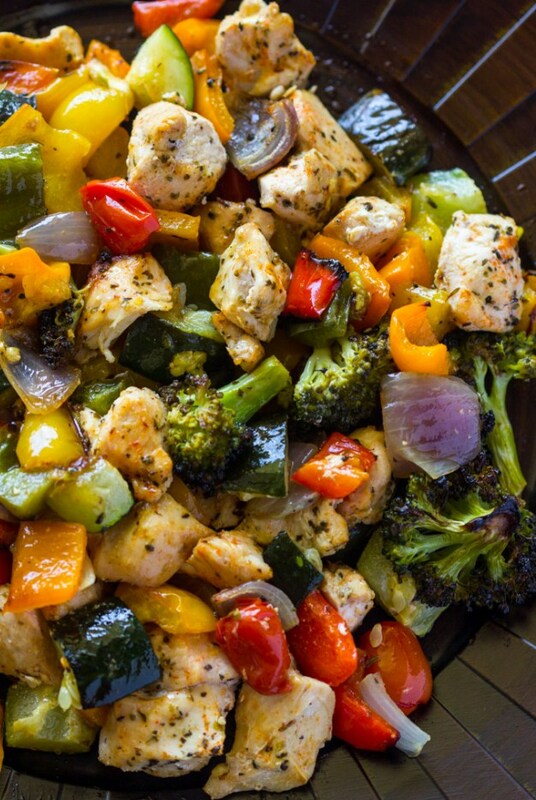 Place the chicken and veggies in a medium roasting dish or sheet pan. Add the olive oil, salt and pepper, italian seasoning, and paprika. Toss to combine.